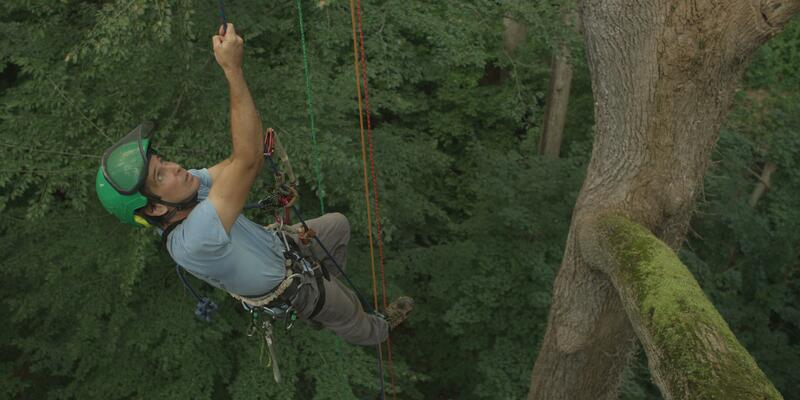 Scaling 160-foot trees challenges the body, even for professionals. While some particularly athletic kids love climbing trees, few turn it into a lifelong profession. Miami native Jason Gerrish is an exception. “After Hurricane Andrew hit Florida, I started working with trees, removing them during the clean-up, and it was the first time I realized I could make good money doing something I enjoyed,” says Gerrish. Having climbed trees as a professional arborist for over 25 years, Gerrish started competing to challenge himself and as a way to stay on top of the latest climbing techniques. After recently taking first place at the International Society of Arboriculture (ISA) Florida Chapter Tree Climbing Competition, Gerrish represented his state at the world championship in Washington D.C. on July 29. The competition consisted of five events: tossing a ball with a line attached over a designated tree branch, belayed speed climbing (ascending a line as fast as possible on a belay system), ascent climbing (installing a line and ascending to ring a bell within 60 seconds), work climbing (completing tasks such as pruning and tossing limbs at five stations in a tree), and aerial rescue (saving a trapped dummy). Could you survive Marcedes Lewis’s workout?